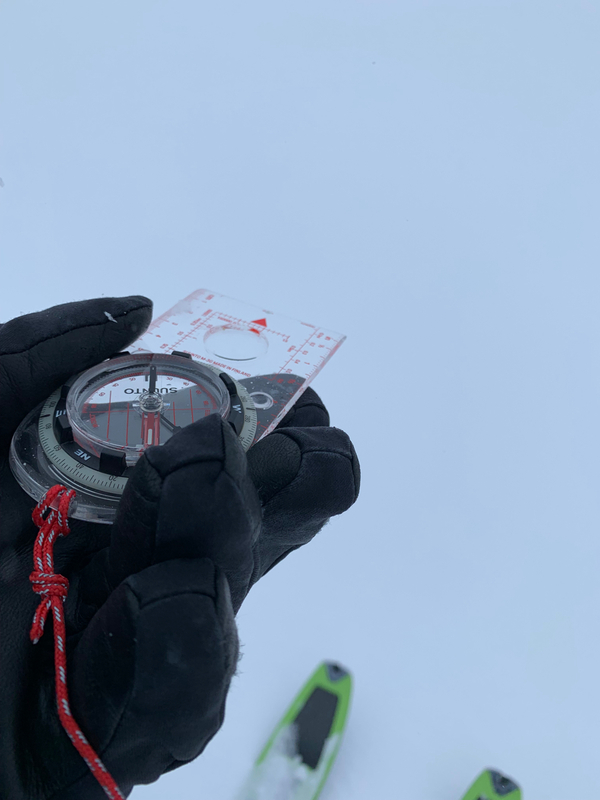 Although poor visibility – there is very good cover on the plateau and on all areas untouched by the wind – Knee to thigh deep in Coire Raibert. 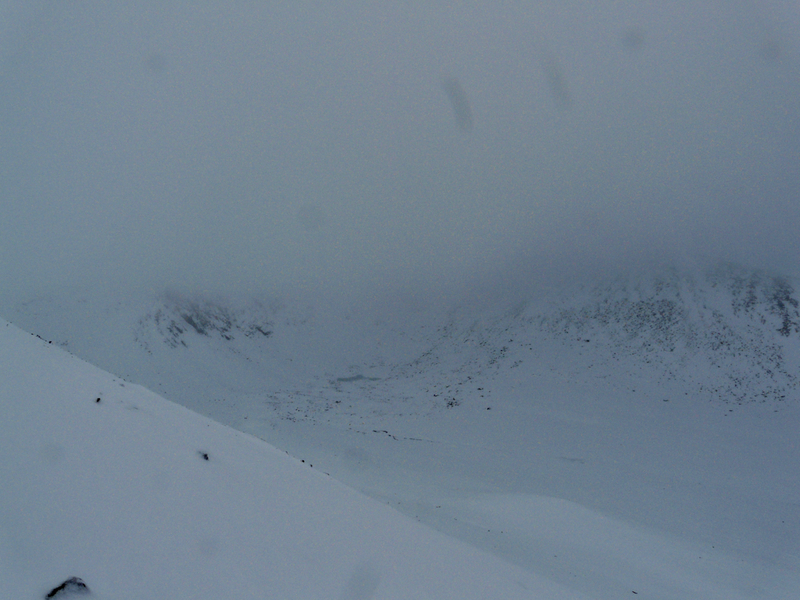 Wind exposed aspects, summits, ridges and coire rims are showing rocks and provide better underfoot travel conditions. 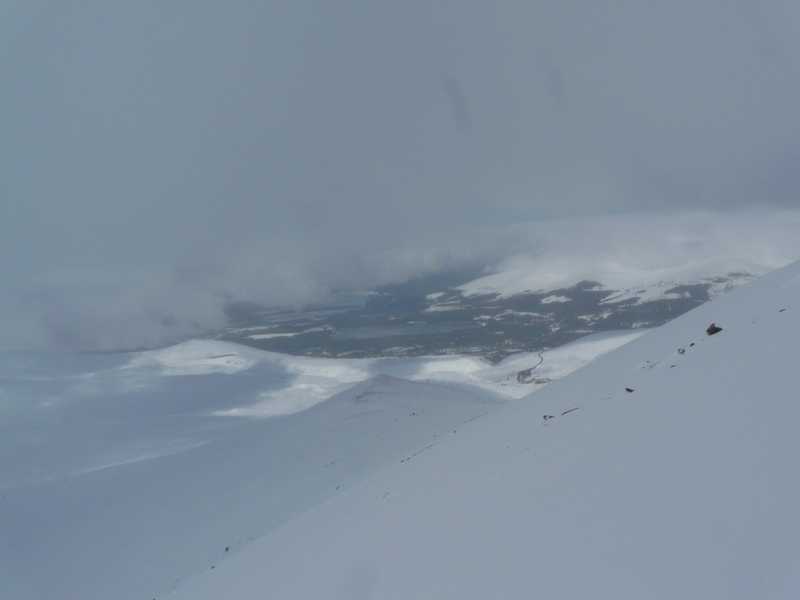 At lower levels heavy going out-with any tracks. 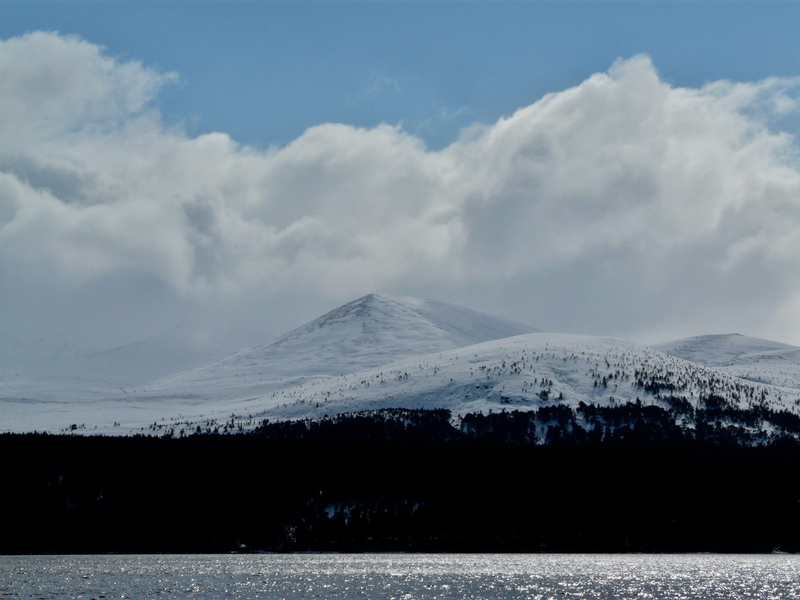 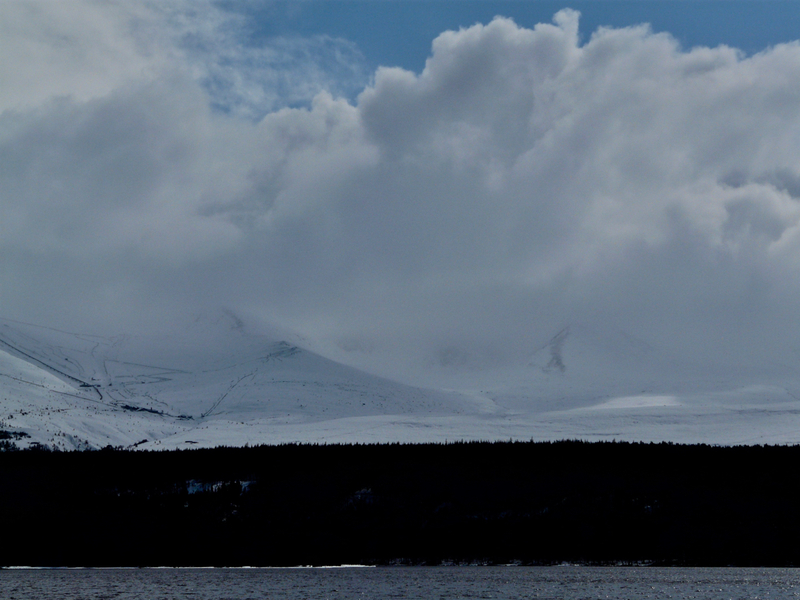 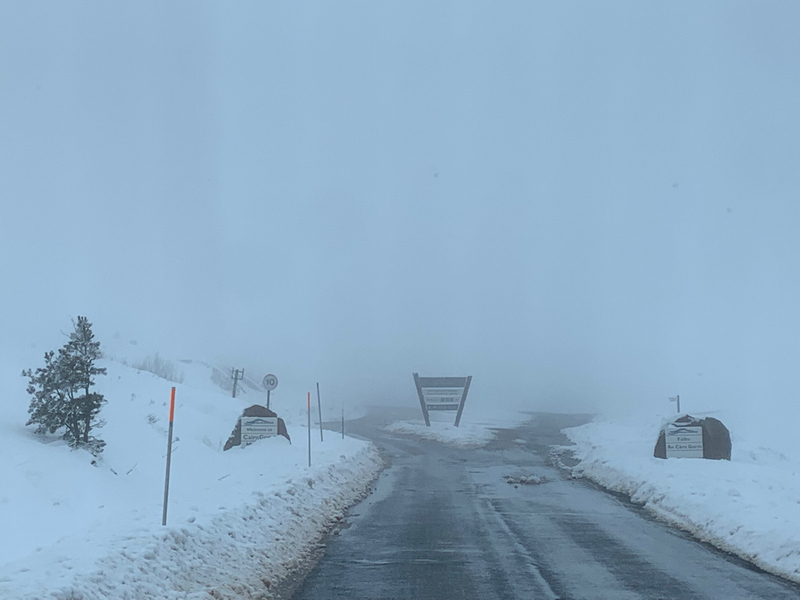 Driving into a Pea super at Cairngorm car park – thankfully viz improved.